HomeArchivesEcuadorWill Lenin Moreno Champion Food Sovereignty in Ecuador in Ways Rafael Correa Didn’t? During his presidency, Rafael Correa campaigned to end the long and sad nights of neoliberalism with the pulse of the revolución ciudadana – or the citizen’s revolution – something that despite some contradictions between rhetoric and reality has been hailed as a “Left-wing success story” for increasing social spending in education and health care and reducing poverty by 38 percent, among other achievements. A cornerstone of this self-described revolution was promises to the peasant and Indigenous movements of an agrarian revolution through radical reforms. In a place like Ecuador, land holdings continue to be highly unequal with large-scale land units and the most fertile lands used primarily for mono-cropping and agro-export crops. So it shouldn’t come as a surprise that social movements in Ecuador are still waiting for this so-called revolution to happen. Now, it’s up to the new president of Ecuador, Lenin Moreno, to address the agrarian debt left behind by Correa’s unfulfilled promises. As Esteban Daza, a researcher at the Observatorio del Cambio Rural (OCARU), a non-profit think tank in Ecuador, put it, “Lenin Moreno is faced with choosing between agroindustrial extractivism that prioritizes land for exports or the Indigenous and peasant movements that demand their collective rights and the protection of the environment.” Some fear the perils outweigh the promise as Moreno sets Ecuador on its new path. This agrarian revolution that was supposed to take place is fundamentally based on the concept of food sovereignty, which social movements in Ecuador and elsewhere define as a right to self-determination – rights to land, water, seeds – and the autonomy to make decisions over what food to produce and how to produce it. 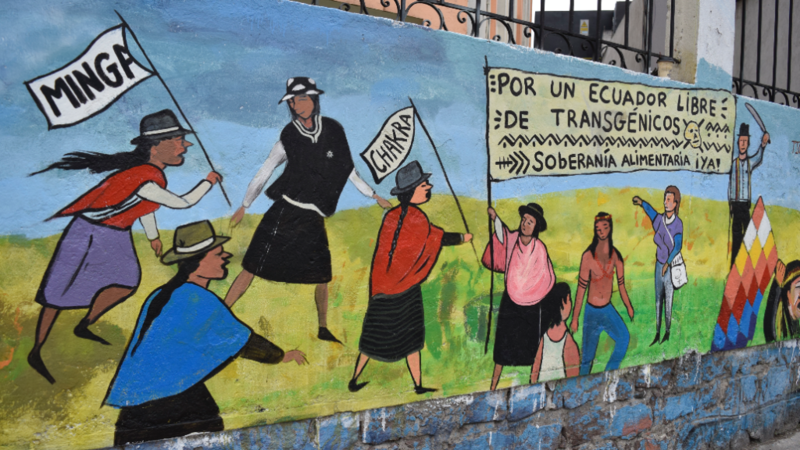 Social movements in Ecuador were instrumental in incorporating food sovereignty in the country’s progressive 2008 Constitution, defining it in Article 281 as a state obligation and national strategy to ensure that all peoples have access to culturally appropriate, nutritious, and healthy food. The food sovereignty clause in the Constitution has become the legal basis for a number of policy changes in Ecuador, including the 2009 Food Sovereignty Law; the 2014 Water Law; the 2016 Land Law; and the recently approved 2017 Seed Law. While these policies are significant legal advancements from previous agricultural policies and land reforms, they all have their caveats. 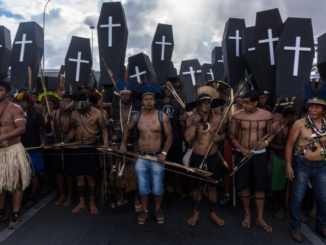 The Land Law and the Seed Law have been the most contentious issues that social movements have criticized in the past year. The 2016 Land Law aims to radically transform land tenure and property rights in the country by appropriating land not serving its social and environmental function (regulating whether land is used efficiently, generating employment, or conserving the environment) and redistributing this land to the landless poor. The Land Law replaces the 1994 Agrarian Development Law – a classic example of a neoliberal policy that primarily focused on large-scale agro-industrial production, the privatization of land and the opening of land markets, and agro-exports. Indeed, Ecuador finally has a land reform underway. However, movements have criticized the law for a lack of clarity regarding the limits to the amount of land an individual can own, thus failing to regulate the (re)concentration of land or minifundios and latifundios. Moreover, the law allows foreign entities (people and companies) to buy land in Ecuador, lending itself to the extranjerización de la tierra – or the foreignization of land – which social movements argue is not only a form of neo-colonial land grabbing, but also undermines the overall commitment to (food) sovereignty in the country. The Seed Law, approved under Moreno in June after Correa vetoed an earlier version as his last act in office, already has received push back from social movements and environmental NGOs, including three lawsuits currently under review in the Constitutional Court arguing that the law is unconstitutional. While the Seed Law promotes the protection and conservation of agrobiodiversity and recognizes traditional forms of seed saving and exchange, the law opens the door for genetically modified organisms (GMOs), which are prohibited in the country according to Article 401 of the 2008 Constitution, except if it is deemed in the “interest of the nation as duly substantiated by the President of the Republic and adopted by the National Assembly.” The Seed Law, in contrast, allows for GMOs in the country if they are used for the purpose of scientific research. What would this look like in practice? 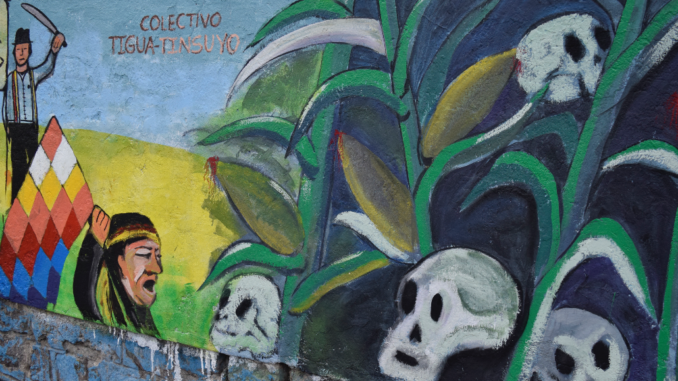 Stephen Sherwood, a researcher at Fundación EkoRural and a founding member of the Colectivo Agroecológico in Ecuador, cautioned that the legislation poses a threat to food sovereignty. “While seemingly innocuous in its provisions for state-based oversight of seed quality and circulation, in practice the country’s new Seed Law represents unprecedented state incursion into citizen control and owners of genetic resources as a common good,” he told Upside Down World. “As per experiences in Brazil and Colombia, expert-vigilance of local seed systems works against family farming and autonomy. It takes away an important resource for managing farm ecosystems as well as the ability to compete in markets.” With three lawsuits pending, the fate of the Seed Law is uncertain for now, but nevertheless cause for concern among social movements. 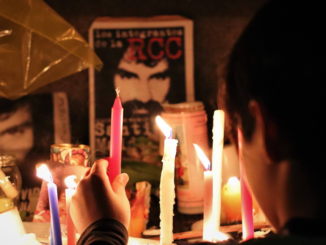 These laws, at least initially, involved the participation of thousands of grassroots organizations and individuals and an array of other stakeholders. And this is exactly why some social movements were – and still are – in despair with Rafael Correa’s administration. Between 2010 and 2012, the state-led participatory institution, Plurinational and Intercultural Conference for Food Sovereignty (COPISA), hosted a series of policy-making workshops for the making of nine laws that pertain to food sovereignty. Various national-level social movement organizations supported this initiative and even helped facilitate the workshops. Over 5,000 grassroots organizations and 15,000 individuals participated in these workshops. However, none of the nine laws were ever passed in Congress. Moreover, the Water Law, the Land Law, and the Seed Law all underwent Pre-legislative Consultation, a process that adheres to the International Labor Organization (ILO) 169, which mandates governments must consult Indigenous peoples and secure free, prior and informed consent if a given piece of legislation will affect their collective rights. Thousands of grassroots organizations participated in the state-led public forums. But again, as with COPISA, the issue with Pre-legislative Consultation is that it’s a non-binding process, meaning that the government doesn’t necessarily have to incorporate any demands or suggestions in a policy or project before it is approved. For both the Land and the Seed Laws, legislators were adamant about protecting the country from land grabbing and from the production of GMOs – and those that participated in the consultation praised legislators for this and for their commitment to food sovereignty. However, both of these laws – when they were in their draft form and reviewed by Congress – were vetoed by Rafael Correa. In the draft version of the Land Law, there was a clause that specifically prohibited foreign entities from purchasing land in Ecuador. With the partial veto, Correa changed the language of the Land Law to allow foreign companies the opportunity to buy land on the premise that prohibiting foreign entities from purchasing or leasing land in Ecuador was discriminatory. Correa did the same with the Seed Law. In the draft version reviewed in Congress, GMOs were prohibited. Now, with the partial veto, GMOs are allowed in the country for the sake of scientific research. Both the Land Law and Seed Law are clear examples of the limits of participatory democracy in Ecuador. This is the legacy of Rafael Correa that Lenin Moreno inherited and is now confronting. Lenin Moreno won the presidency in April 2017 with over 50 percent of the vote. He is a member of Correa’s political party – Alianza Pais – and was also his vice president during his first presidential term (2007-2013). Moreno defeated Guillermo Lasso, a conservative banker and former economy minister who ran on behalf of the right-wing alliance between Creating Opportunities (CREO) and United Society More Action (SUMA). During his vice presidency, Moreno was famously known for creating the program Misión Solidaria Manuela Espejo, which provided aid and subsidies for individuals living with disabilities – the first of its kind. Lenin Moreno has been in office for a little over 100 days and he has already been criticized for allegedly pivoting toward the right with some of his policies and ministerial appointments. Some critics say that the new president is attempting to distance himself from Correa by criticizing some of his economic policies; by suspending the powers of Vice President Jorge Glas, who has been accused of corruption; and by opening dialogue with the Indigenous and peasant movements Correa was accused of marginalizing during his term, especially CONAIE. Lenin Moreno appointed the former president of CONAIE, Humberto Chalango, National Secretary of Water and also created a new institution within the Ministry of Agriculture that would focus on working with and promoting small-scale family farming, the Subsecretaria de Agricultura Familiar Campesina. To some extent, the Indigenous and peasant movements are supporting Lenin Moreno and his new initiatives, but it’s too soon to tell whether he is really turning to the right or will continue down the left-wing, albeit imperfect, road paved by the last 10 years of the Correa administration. Both the Land Law and Seed Law are clear examples of the limits of participatory democracy in Ecuador. This is the legacy of Rafael Correa that Lenin Moreno inherited and is now confronting. OCARU’s Daza warned that the outlook isn’t positive for social movements as Moreno navigates the choice between prioritizing land use for the advancement of food sovereignty and environmental protection versus upholding an agro-industrial export model. “In these 100 days in the presidency,” Daza told Upside Down World, “Lenin Moreno seems to be leaning towards supporting agribusinesses, and not the social movements.” This is because Moreno’s initiative called the “Gran Minga Agropecuaria” aims to provide land titles, technological kits (including seeds and fertilizers), credits and other resources to small-scale farmers with the purpose of integrating them or converting them into agroindustrial enterprises. Romelio Gualán, president of the national Indigenous-peasant organization, Coordinadora Nacional Campesina – Eloy Alfaro, says that “this initiative resembles an export-oriented model of agricultural development that jeopardizes family farming.” To this end, Gualán is calling on Moreno to “revolucionar la revolucion” – revolutionize the revolution – and refocus his initiative on family farming, which he considers the foundation of food sovereignty in Ecuador. 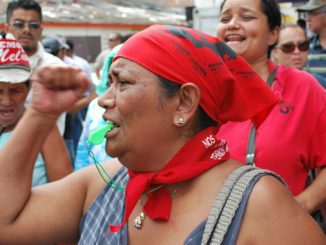 With the approval of the free trade agreements with the European Union and China and the engrossing economic debt the country is facing, its ever more important for Lenin Moreno to consider the demands and cooperation of social movements in fostering food sovereignty – and national sovereignty for that matter – over production and distribution, to really address the landed inequality and the social and environmental injustices in the country. Karla Peña is a doctoral student in the Department of Development Sociology at Cornell University. Her research focuses on movement-state relations and agrarian change in Ecuador.